Rivet are pleased to present the Independence. Combining the traditional and comfort of leather suspended between strong resin frame materials, the new Independence is lighter than its competitors. Passing tests for durability, and sporting a sleek design, we're confident you'll like having the new Indy underneath you. The Independence, so named because that's what it gives you. We think you'll agree. Saddle comes in presentation box complete with soft carry bag, adjustment spanner and care instructions. Does the saddle have a leather laminate underside? So is it a faux leather or a fabric bonded to the underside. Are you using an old photograph on your website? As I said in my previous question your picture of the underside of the saddle looks different to a similar picture on the Rivet website. I would like to try an "Independence" but don't want to if Rivet haven't changed their construction method. I had a "Diablo" earlier this year which I had to return to you when the leather laminate started debonding and the saddle surface became distorted and uneven. I've checked the saddle & our image of the underside of the item is not correct so this will be changed in due course. The underside of the saddle appears to have a black fabric that has been bonded to the leather saddle to aid water resistance. The pictures suggest that the saddle has a leather laminate while the Rivet website pictures of the Independence saddle suggests some sort of synthetic, common with some other manufacturers. We believe that the underside is some sort of synthetic material. 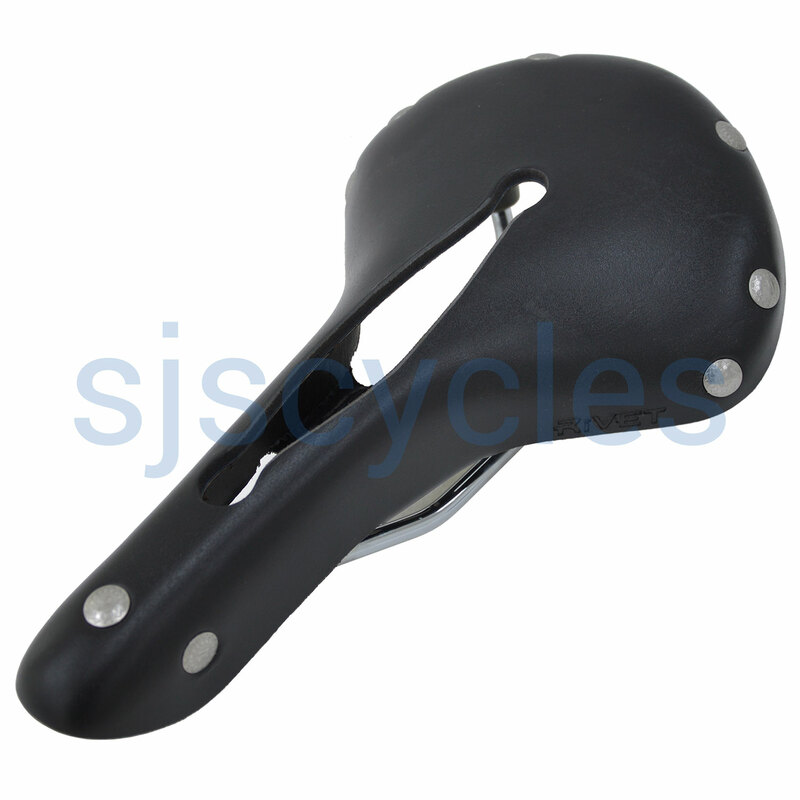 Will This Saddle Slide Back Further On A Seatpin Than A Brooks B17 Imperial? If the answer is yes, can you say by how much? This saddle will slide back further on a seat post than a Brooks B17 Imperial, it is hard to measure by exactly how much but it looks to be between 10 and 15mm.